I have been collecting picture frames over the past year or two, in hopes to update our hallway gallery wall with something a little more playful and substantial than our previous attempt. I wasn't quite sure what I would land on in terms of an "after", I just knew I wanted something a smidge different than just the typical white gallery wall. 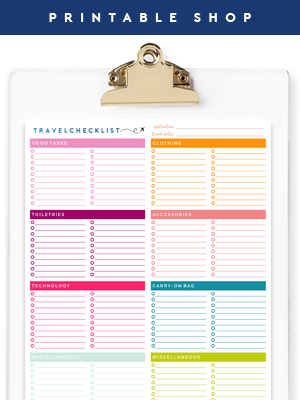 Something that would fit our playful family style and carry a little added color to the most traveled area of our home. To get started, I gathered a few of the frames I have been collecting over the past numerous months (picking up a couple with each trip to IKEA®). 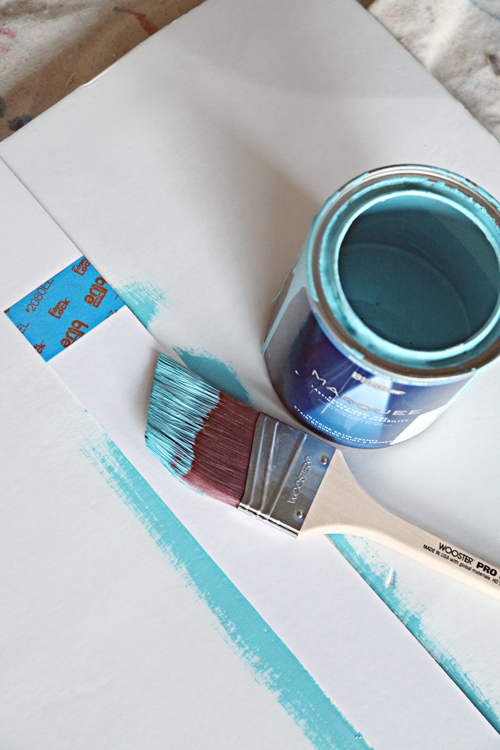 I also used ScotchBlue™ Painter's Tape Delicate Surfaces with Advanced Edge-Lock™ Paint Line Protector 2080EL and Multi-Surface with Advanced Edge-Lock™ Paint Line Protector 2093EL, Behr® Marquee™ Paint in Ocean Storm #MQ5-61D and Adonis MQ4-51M, and my favorite Wooster® Brushes. Based on the frames I had on hand, I did some measuring of the wall and created a layout plan on the floor. This is what I had come up with. 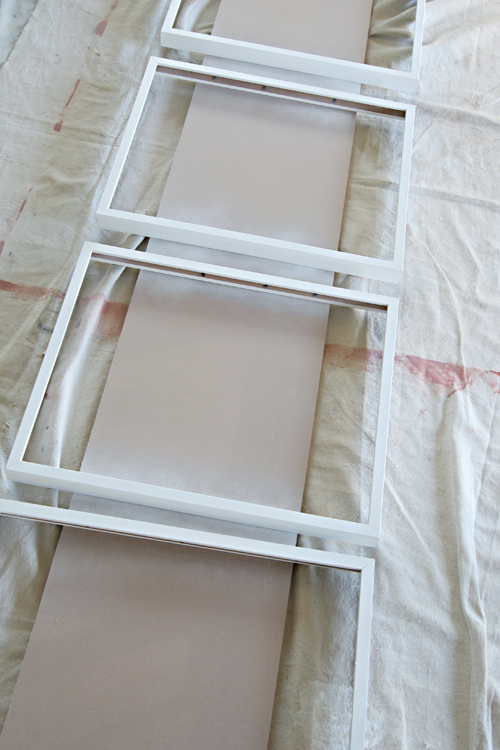 In our garage, I placed four of the frames out on a piece of wood, and gave them a quick coat of primer. 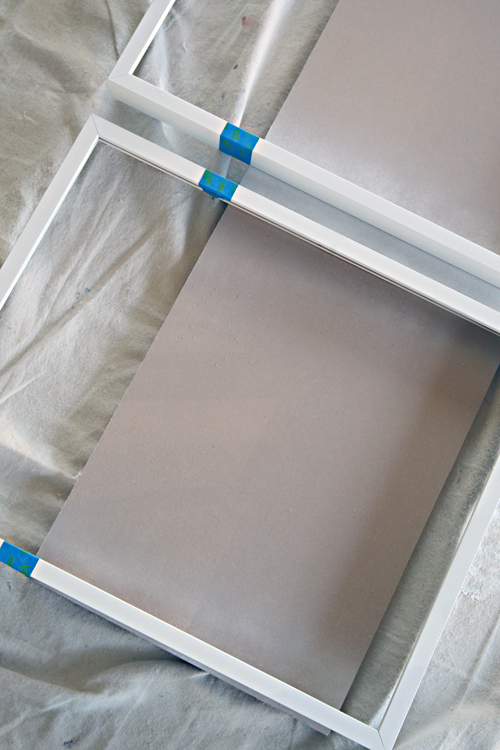 You would not typically need primer with the Behr® Marquee™ Paint (it has primer built-in), however, IKEA® frames are quite glossy and I wanted to add an extra coat just to ensure a good stick. Once the primer was dry, the fun began! I measured down about 1/4 of the way down the frame, made a small mark with my pencil, and taped off the frame with my painter's tape. Using my Wooster® Pro 1” Nylon Thin Angle Sash Brush, I painted the lower portion of the frame with the Marquee™ Ocean Storm Paint. It went on like butta! Smooth and quick with beautiful one coat coverage! I have been a Behr® user for many years, and their new Marquee™ line takes the cake. So good. 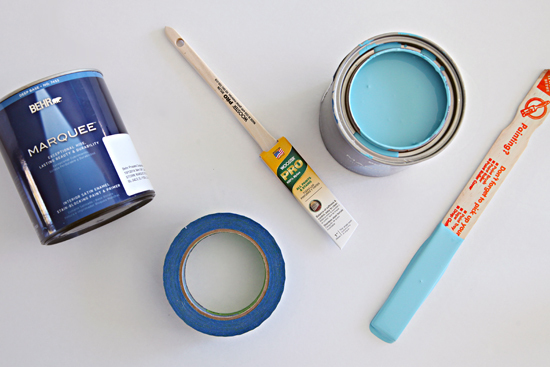 Quick tip: Pull the tape while the paint is still wet for the crispest paint lines. While the frames were drying and curing, I measured down to the exact same point on the photo mat, and taped that off as well. Because I wanted all of the mats to be bright white at the top (vs. the typical creamy ivory color), I used my pal Cassie's tip and flipped 'em over. Using the wider Wooster® Pro 2” Nylon Thin Angle Sash Brush, I brushed in a downward motion directly onto the mat, with the Marquee™ Adonis Paint. The paint self leveled really nicely and one coat later, there were no streaks and everything was looking quite pretty! I pulled the tape and because I used the ScotchBlue™ Painter's Tape Delicate Surfaces with Advanced Edge-Lock™ Paint Line Protector, it didn't pull away any of the paper on the mat. Using our per-determined plan, we used the painter's tape to create a center line between the two doors in our hallway. The line was a base line to build up and down from, we also used the tape to ensure each frame was spaced evenly. 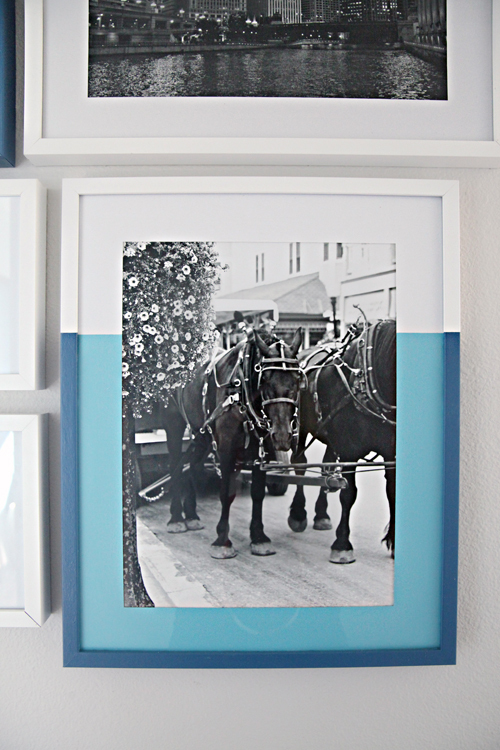 I really love how the dipped colors add vibrancy and drama to the black and white photos and frames. And the colors I selected tie in the painted hutch in our adjoining dining room to the navy in the hallway runner and stool at the end of the hallway. I only opted to do four random frames in the group, which allows each one to really shine, yet prevents the entire grouping from becoming too busy or overwhelming. And a final up close peek at the impact the colorful dipped effect has on the framed image. 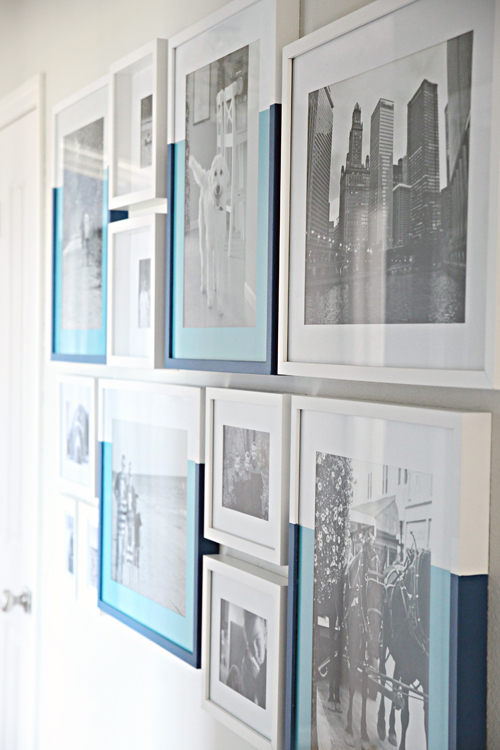 This project was very quick and simple and I love catching everyone in the family stopping in their tracks to check out the new wall of images. Impactful, playful, colorful, us. 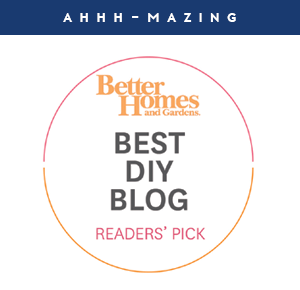 I am proud to be a 3M, Behr®, and Wooster® - sponsored blogger, and, as part of my responsibilities, I get the opportunity to evaluate products. Opinions are my own and additional product used in the project were selected by me. It definitely adds colour to your hallway. What a great idea! LOVE. THIS. PROJECT. I just might have to "borrow" this idea for myself since I am not the least bit creative. Good job, Jennifer! 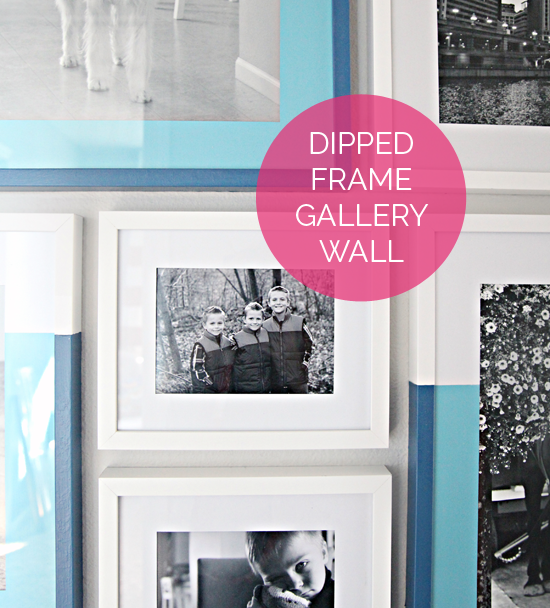 Your gallery wall looks fantastic!!! I absolutely love this!!! Thank you for the inspiration. I would love to do something like this in my master bedroom. What a clever idea! Brilliant job they look amazing! We are O-B-S-E-S-S-E-D!! I mean seriously though, genius!! Wow! I really can't believe how awesome that looks! And i love that you just did a few select frames...it's so much more impactful than if you had done them all. I love your color choices! On another note- where did you get your sweater? I love the small polka dots! Thank you! The sweater was from Gap a few years ago. xo! Wow, what a simple idea! Such an impact! Thank you for sharing, Jen! Brilliant! Looks great in your hallway! Wow Jen! As a custom picture framer, I love your idea! Pinning this and sending it to my friend who is also a framer! OMG LOVE IT!!!! All of my picture frames are black or dark (cherry) wood. But now you are making me want to paint them all white! Love the look! The colors look really awesome! How often do you switch out your pictures? Whenever the mood strikes :). I am trying to get better about snapping more photos of everyday life with my good camera, so hopefully I can keep a playful gallery rotation going. Hi Jen! These are so pretty - what a clever way to add color to those photos! This is a beautiful idea. 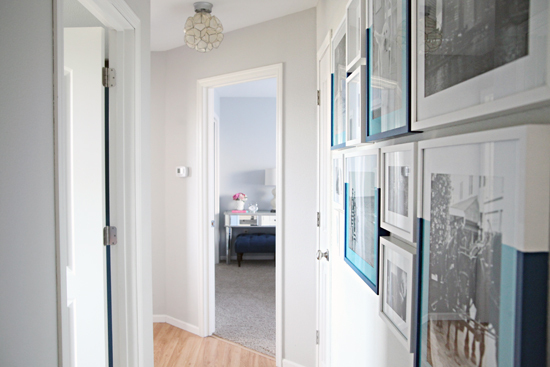 I love your gallery wall, Jen! 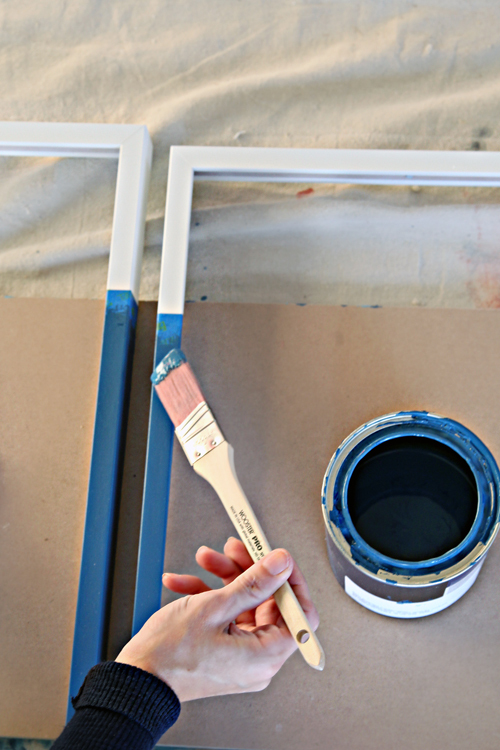 I love the idea of painting inexpensive frames! I get a lot of frames at The Christmas Tree shop and I've NEVER thought of this. Having all black and white photos really makes this pop! We didn't end up using the hooks - we just used a few of our picture hanging nail/hook combos (3-4 for larger frames) and added additional hanging support with mounting putty on the backs to prevent any bowing or sagging. Those wires are so much trouble that we are hoping this will do the trick. xo! Amazing!!! I also love the "flip the mat over" trick. Truly beautiful work. What room is that at the end of the hall with the desk/blue bench? 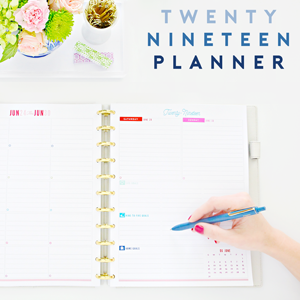 Do you have a post with a floor plan in it somewhere on your site? I have a pretty good idea of where your living room and kitchen/dining are, but everything else is hard to place in my mind's map of your house. I didn't even realize you had a hallway there leading out of the dining space! 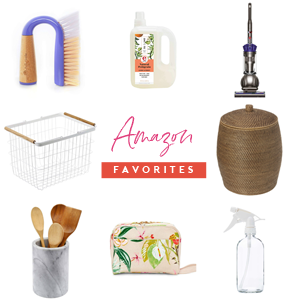 It's hard to keep your space straight in my head since you often show rooms without showing how they connect to one another. We have our home's layout shown our Home Tour tab. The room at the end of the hallway is our guest room. Thanks! Were those there before/are they new? I don't remember them being there the last time I looked at that page, though maybe I just wasn't paying attention. It helps, though. I thought your guest bedroom was in the basement! 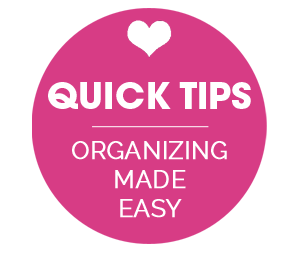 You've been making such great progress in the various rooms (especially in the basement) lately that your home tour page's photos are a little dated. :) What a nice problem to have! It looks amazing! I have such a hard time hanging my frames level with one another, what's your trick? We start by taking a measurement from the top of the frame down to the hook or wire on the back of the frame. Then we place the frame on the wall where we want it, make a small mark on the wall at the top of the frame, and then use our first measurement to measure down from that mark and push in the nail. I also always use mounting putty on the backs of all of my frames once they are hung, to prevent them from shifting on the wall. I LOVE this! Can you tell me what you print your photos out on? And did the mats come with the frames? What a cute idea! Also, I always have trouble getting my picture frames to hang where I want them, as in a straight line all lined up with the other frames. Sometimes even if I use the same frames and the same hooks. Any secrets? Thanks. I print my photos through mpix.com, they are quick and have great quality printing. The mats did come with the frame, they are an off-white on the main side, I flipped them so they would be all white. For hanging the frames, we start by taking a measurement from the top of the frame down to the hook or wire on the back of the frame. Then we place the frame on the wall where we want it, make a small mark on the wall at the top of the frame, and then use our first measurement to measure down from that mark and push in the nail. oh, wow!!! I love what a change just a little paint made! So fun and vibrant. What a cute idea!! I love it! 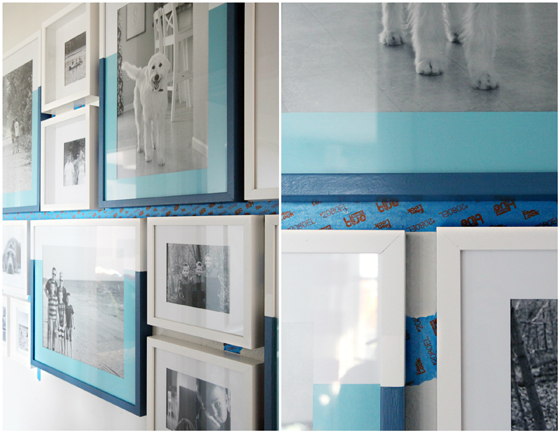 A gallery wall is a long awaited project of mine...just have to find the time! I love what you did with just some paint and tape! I have played with washi-tape but never even thought of painting the mat! 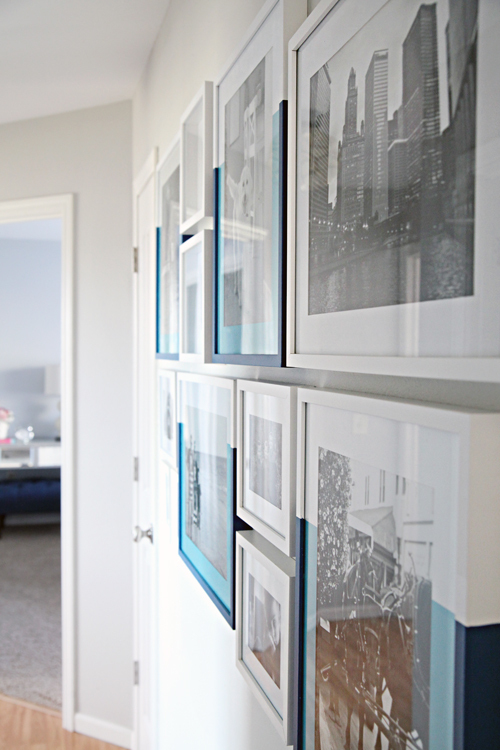 With only a few pops of color your gallery wall looks so sophisticated yet playful. I love this so much!! 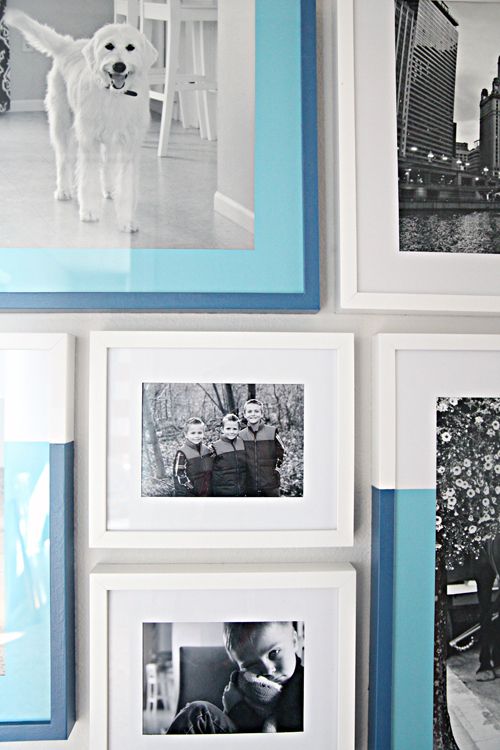 I somehow left this on a different post at first, but I'm doing a photo wall right now and love this idea! Love this! I'm eyeing all the walls in my house to find the perfect location and color scheme now. 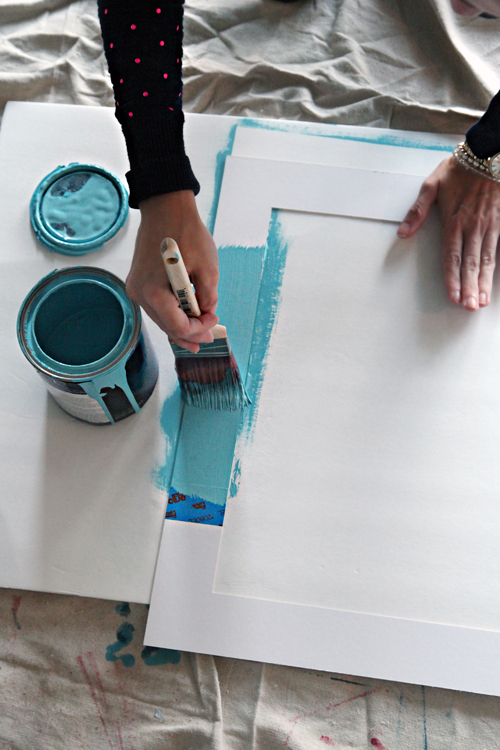 Did you prime the entire frame, or just the area you are going to paint blue? If you primed it, did you leave the primer showing or did you paint the top portion white again? Thanks! Such a great great great idea! Love it! 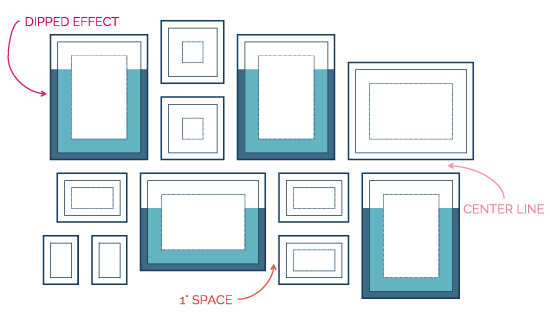 Would ugh be able to share what size frames you used?